Today I come with a new real money earning app called coin pouch. This app is a similar type of real money earning app which I already featured in this blog, One of the best feature about this app is you can earn $5 instantly without doing more tasks. Payout also simple, when you reach $5 in your wallet you can directly go for payout through Paypal (That can deposit the amount to your linked bank account). ➌ After this step, you will get a popup box that shows a message "Install and runs your first app and receives 500 coins worth 1$"
That's it! your earned 750 coins (2$) without doing any tasks. 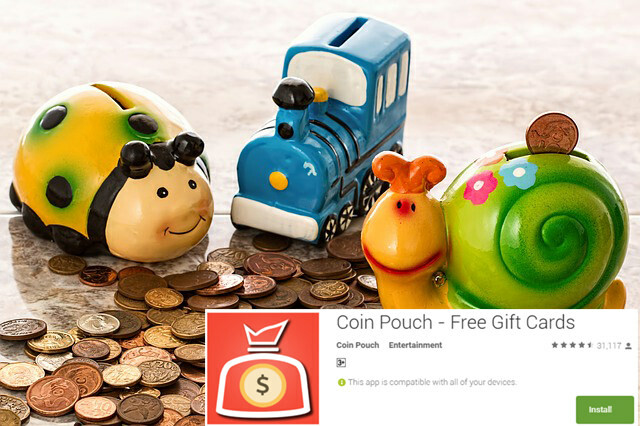 Now you need to earn 1850 coins ($3) to redeem your coins to gift cards of PayPal money. ➍ You can also earn extra coins through referring your friends to this app, you will get 10% of commission from your friend earning. ➊ Click on Redeem tab on the home screen. ➌ Choose PayPal cash those who want to get real money in their bank account. ➍ Click redeem and enter your PayPal mail id to receive the amount.